Stories and exercises to help understand the mechanisms and influence of emotions in your daily life and discover the world of the unconscious perception. At every moment of our life emotions are ruling our behavior. Whether we are happy or sad, angry or fearful emotions are playing an important social role, having the major influence on our perception of the World and our communication styles. Successful communication, mutual understanding, and agreement are the keys to success in nearly all areas of life. Each of us is continuously negotiating, compromising, imposing, fighting for own interests and trying to build up or retain various relationships. How much are you aware of your emotional state and non-verbal signals that you are sending to the opponent during the conversation? How much are you aware of the emotional state of the opponent and how constructively are you dealing with it? What are the cultural differences and what is the impact they have on the course of a conversation? What are other psychological aspects able to distort objective view on a situation and how to overcome those? Decades of psychological research has thorough answers to all of these questions. - Explaining science in simple terms and illustrating it by real-life and fiction stories. - Supporting development by providing powerful exercises for bringing up emotional awareness. - Offering a framework for enhancing communication skills. This guide will be a break through the wall of unawareness towards an understanding of unconscious influences and will change your life for the better. Why this book is written, for whom and how to use it. What do we call emotions? This chapter covers definitions of emotions, its' importance, and influence on our life and disputes around it. 3. Emotions: reasons and mechanisms. Why are we getting emotional? What triggers emotional states and is it possible to interfere with it? Does it depend on personality, culture, and education? This chapter answers these questions and discusses the evolutionary development of emotional states and ways of dealing with it. Does everyone experience emotions in the same way? Is it possible to read the emotions of others? This chapter describes distinctive emotional markers and provides exercises for recognizing the 7 universal emotions in self. Boys don’t cry. Girls don’t get angry. This chapter covers social rules that influence our expression of emotions. Why can we go off the limits in our anger expression? Why do we do things and say words we regret after? This chapter sheds light on mechanisms that drive regrettable behavior and provides tips and exercises that help to take it under control. Did you make a mistake, or are you a mistake? This chapter outlines the fundamental difference between shame and guilt and explains how to deal with it in a constructive way. Where do they come from and how to deal with them? This chapter is dedicated to the advantages and limitations of fear in our lives and suggests ways of dealing with it. 9. Sadness - the call for help. Should they know how sad you are? This chapter discusses an importance of sadness expression in our lives and problems of its social acceptance. This chapter covers the question of the ways we are dealing with pleasure and discusses Happiness vs Contempt. How do you feel? How do you let others know? This chapter is talking about the words we use to describe our emotional states, about the use of emojis in written conversations and the benefits of extended emotional vocabulary. Do you remember the time..? Do you really? This chapter explains a connection between emotions and memory and why it’s all not what it seems. Do you know who always stays invisible to you in any conversation? This chapter is dedicated to 5 communication channels, attentiveness, and self-awareness. Why do we think we are right, while we are not? This chapter illustrates most common biases and gives tips on how to recognize it in self and do not let it drive the behavior. Are you ready for that talk or are you prepared? This chapter discusses the pitfalls of emotionally charged conversations and provides a framework for handling them better. 16. 2-1-4 A harmony of emotional being. This chapter summarizes the role of emotions in our lives and gives practical advises of reaching the harmony. There are about 1 billion english speakers in a World (both native and non-native) and all of them engage in conversations on a daily bases. Moreover, in the last decades there is a growing trend of creating multicultural environments that increase communication challenge. Who could benefit the most out of this book? Stress and burnout have become an increasing and often-discussed phenomenon over the last decade. According to statistic presented by Forbes, 30% of the cases is a result of the poor management and 26% is due to negative workplace culture. Besides being responsible for well being and development of others, people managers have to deal with potentially stressful, emotionally charged conversations on a daily basis: providing feedback, hiring and firing, trying to prevent and resolve conflicts within teams and many others. Enhanced knowledge in this area will help to run teams more effectively, oversee and prevent burnouts. Similarly, according to American Federation of Teachers (2015), 73% of teachers reported they are “often” under stress. On a daily basis teachers are dealing with children and teenagers, who are often not able to express and understand their own emotions. This may result in an inadequate or conflictual behaviour. This book will help teaches to recognise driving factors and emotions of students from non-verbal cues, become more aware of their own emotional state and its impact on the classroom atmosphere and handle it better. The forecast for youth unemployment World wide for 2019 is as high as 200 million. In the UK only, this number is fluctuating around 0,5 million. There is tough competition among youth for available vacancies. Emotional Intelligence, defined as an ability to recognise, understand and use emotions effectively, gives a significant advantage in job applications, interviews and fast career growth. What differentiates this book from existing competition, is that it explains science in simple terms and focuses on communication and practical application. Ekman, P. (2007). Emotions revealed. New York: Henry Holt. Ekman, P. (2009). Telling lies. New York: W.W. Norton. Career Press was founded in 1985 as a niche publisher of targeted career directories. Today, Career Press boast an active, strong-selling backlist of nearly 1,000 titles. We have helped millions of job seekers, businesspeople, and consumers of all ages with the practical, helpful information they need. Our philosophy has remained constant since our founding: we publish the highest-quality books on topics most needed in the marketplace, written by established, credentialed, media-savvy professionals. IN 2017, Career Press became part of the Red Wheel/Weiser family of publishers. At Career Press, we publish general non-fiction that addresses real, practical human needs. Our useful, accessible, "how-to" books reach a broad market of average Americans - people grappling with universal issues relating to job-hunting, career management, education, money, and personal goals. In addition to being practical and useful, the Career Press books are entertaining and easy to digest, making them terrific sellers. Over the years, Career Press has developed a knack for identifying and developing popular topics, then successfully promoting those titles through publicity and marketing efforts. Career Press titles can be found on the shelves of chain and independent bookstores, drugstores, warehouse clubs, and other retail outlets around the world; for example, Career Press business titles are featured in FedEx Office and Office Depot locations. Too many beautifully written books are rejected on a regular basis because the submitting author doesn’t have a strong enough author platform. The barriers for authors are getting higher and the publishing industry less discerning and more unscrupulous. 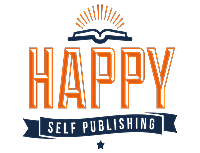 By operating a hybrid publishing model, Cranthorpe Millner can invite authors to publish with us based on the merit of the manuscript alone. Thank you once again for your contribution to my book. The Manuscript is about to be finished by the end of the year. on Aug. 15, 2018, 12:02 p.m.
on Aug. 16, 2018, 1:06 p.m.
on Aug. 16, 2018, 4:36 p.m.
on Aug. 17, 2018, 6:38 a.m.
on Aug. 17, 2018, 2:05 p.m.
on Aug. 20, 2018, 10:47 p.m.
on Aug. 21, 2018, 5:32 p.m.
Greetings from Asia and Dominik. Good luck! on Aug. 25, 2018, 2:50 p.m.
on Aug. 28, 2018, 6:36 a.m.
on Aug. 29, 2018, 10:30 p.m.
on Sept. 13, 2018, 11:34 a.m.
on Sept. 14, 2018, 8:43 a.m.
on Sept. 14, 2018, 9:10 a.m.
on Sept. 21, 2018, 11:41 a.m.